+++++“Attorney General Nolan has decided that a woman is not eligible to the office of county attorney in Montana. 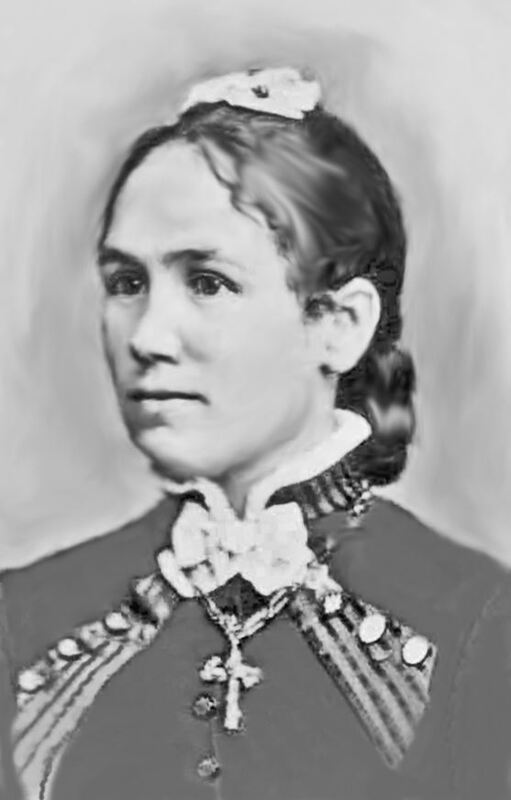 It is not so very long ago since a woman [Ella Knowles] ran for the office of attorney general in Montana and came near being elected. She finally married the man who beat her, but from that it is not to be assumed that he beat her after they were married. He beat her at the polls and by way of making his victory the more complete, she married him. +++++“A new law firm will shortly open an office in this city and be known as Kennedy & Kennedy. Judge Kennedy of Canton, S. D., will be the senior member, and his sister, Miss Eveleen Kennedy, who has been a resident of Miles City for ten years, will be the junior partner. +++++“That women have had marked influence upon the administration of justice and that there are many opportunities in the profession of law for the girl who has a sincere liking for that difficult calling, courage and a high type of mentality, was brought out in a comprehensive talk by Mrs. Eveleen Bryan for fellow members of San Diego Altrusa club at its dinner meeting at the Barcelona hotel Wednesday evening. +++++“Eveleen Kennedy was the youngest of Cornelius M. and Mary Lindsey Kennedy’s children. She grew up helping her mother on the farm. 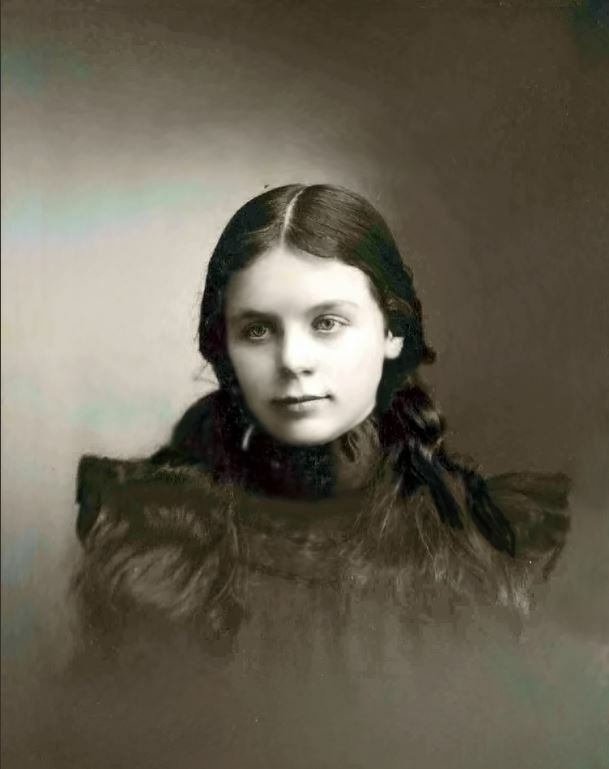 Edith Odell Ryan said of her aunt, ‘she was precise and kind of respectable, but she never had much fun.’ Her older brothers, first John, then Cornelius and Benjamin, helped pay for her to attend the University of Iowa at Iowa City, IA, where she earned a BA degree. After graduating she tried her hand at teaching, but couldn’t control the rowdy boys in her class. Cornelius and Ben asked her to come and work in their law office in Canton, SD. They taught her enough law while she worked for them, for her to pass the bar exams, and become an attorney herself. 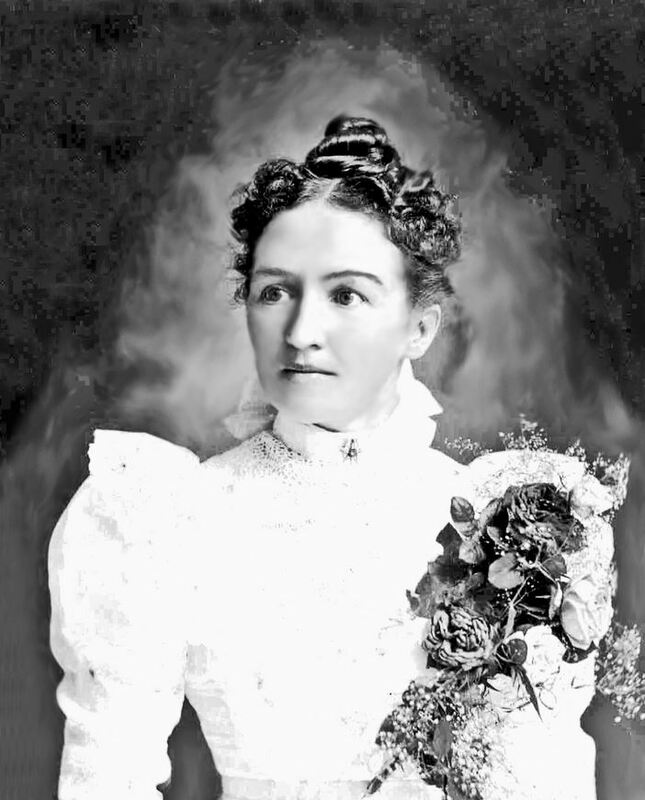 +++++In 1886, she almost died from typhoid malaria. She was staying with her brother, Ben, and his family at the time; and Ben helped to care for her. She finally recovered, but in the meantime, Ben caught typhoid malaria from her and died. +++++Eveleen Kennedy practiced law in Miles City, Montana, and then in San Diego, CA. 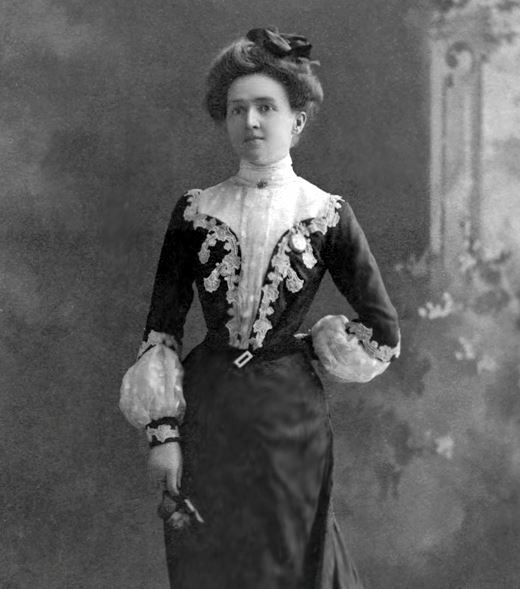 At one time, Eveleen and her brother, Cornelius B. Kennedy, owned a law office together in Miles City, Montana. +++++Eveleen and Thomas Bryan adopted a son, Thomas J. Bryan Jr., in 1908. At the time Eveleen was 40 yrs. old and Thomas was 70 yrs. old. Thomas J. Bryan Jr. grew up to be a wild young man, married seven times, and was in and out of jail. Thomas J. Bryan Sr. died sometime before 1930, as a 1930 census finds Eveleen listed as a widow. Eveleen died on May 27, 1945, and was buried with Thomas in San Diego, CA. +++++‘Last evening there culminated an event that in the various stages of report from rumor to certainty has certainly furnished Miles City with a fruitful topic. When, shortly after this paper announced some weeks ago that our comely and successful female barrister, Miss Eveleen Kennedy, was to remove to San Diego, Cal., there to practice her profession, it was rumored that this newspaper’s information was not entirely correct and that there were reasons other than professional for Miss Kennedy’s selection of a new home, it was not long before this rumor began to assume a definiteness that went so far as to include in the plot a former resident of Miles City of the male persuasion, now comfortably located in the golden state and in the immediate vicinity of San Diego, to-wit, Colonel Bryan, and there were those who claimed to know that it was all arranged and that the only walls that would echo to the voice of this feminine expounder of the mysteries of Blackstone were the walls of Colonel Bryan’s palatial hacienda at Lemon Grove, a suburb of San Diego. +++++‘A select party of personal friends of Colonel Bryan and Miss Kennedy assembled at the home of Miss Kennedy’s sister, Mrs. Kennard, last evening, where at 6 o’clock Rev. Mr. Dodds of the Methodist church pronounced the words that joined Colonel T. J. Bryan and Miss Eveleen Kennedy in holy wedlock. +++++‘Miss Eveleen Kennedy that was, is a young woman of distinction in this community. Coming here about a dozen years ago, a very young girl, she took up stenography and her employment being in the law office it was not long before she was “reading law,” and finding it to her liking, she persevered to so much purpose that it was not long before she gained the distinction of being admitted to practice. +++++‘Colonel T. J. Bryan is one of Miles City’s earliest settlers, coming here by boat in the summer of 1881, from which time, up to his departure for California in 1895, he was conspicuously identified with all the momentous affairs of both town and county, and those were not dull days either. Old timers will remember him as the chairman of the reform board of county commissioners appointed by the court after the ousting of the duly elected board for malfeasance in office.